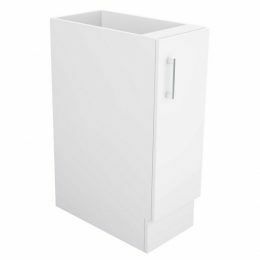 For a kitchen base cabinet with a left-hand hinge and right-handed operation, you’ll find nothing better than our Base Unit Left Hand Hinged Single Door 45cm unit. 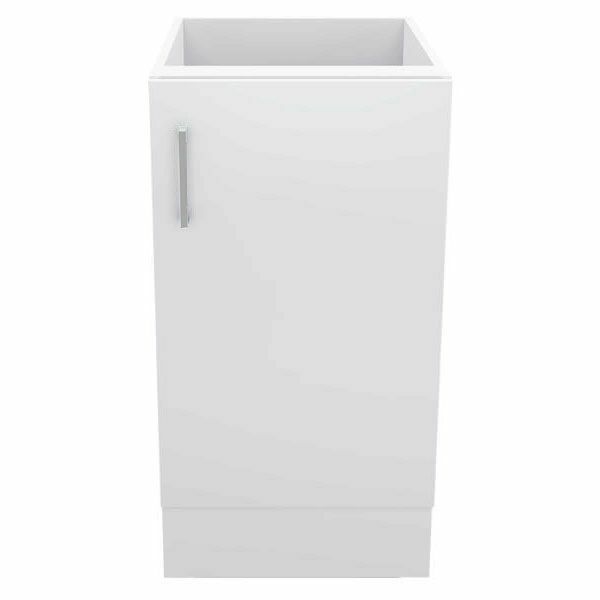 It is a gorgeous base cabinet which is available in a high gloss finish in white. The Alpine Base Unit Right Hand Hinged Single Door 45cm measures 45cm Width x 58cm Depth x 86cm Height in dimensions. 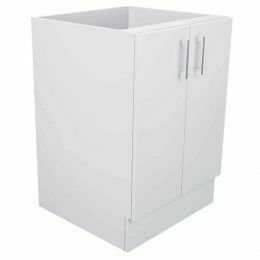 This kitchen base cabinet is as functional as it is good looking. 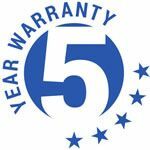 It features a stylish chrome handle and a durable 2-pack painted glossy surface. 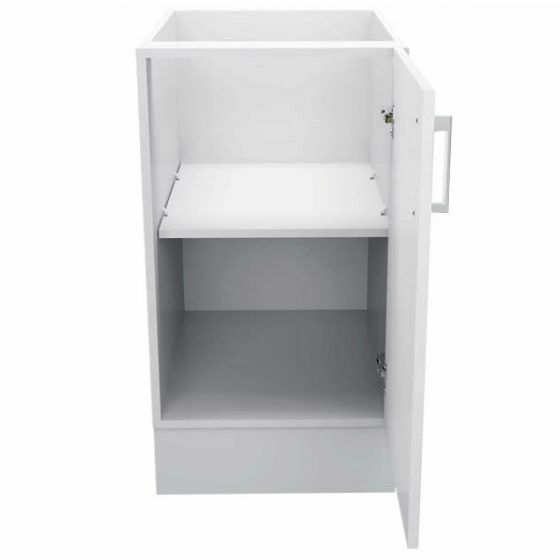 This cabinet also comes equipped with a soft closing door. 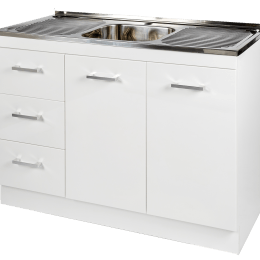 This kitchen base cabinet exhibits superior manufacturing and is built to last. It is made from high-quality HMR board which makes it durable and moisture resistant. 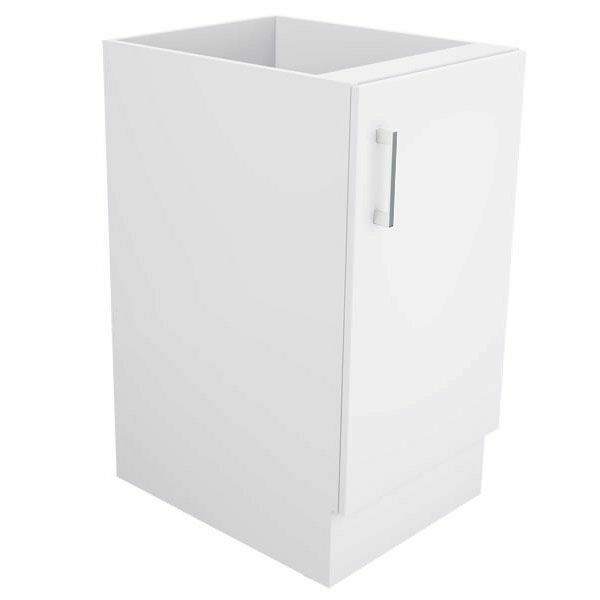 This base cabinet is built to withstand the test of time. 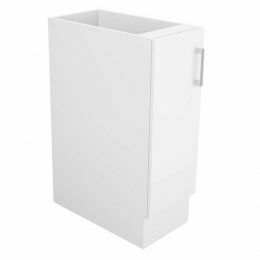 To purchase our Base Unit Right Hand Hinged Single Door 45cm kitchen cabinet, find your nearest Alpine retailer today!